Summer vacation has arrived, which means I need to up my game with the baked goods around here! Kids burn a lot of calories playing outside, and they are hungry when called in for lunch. 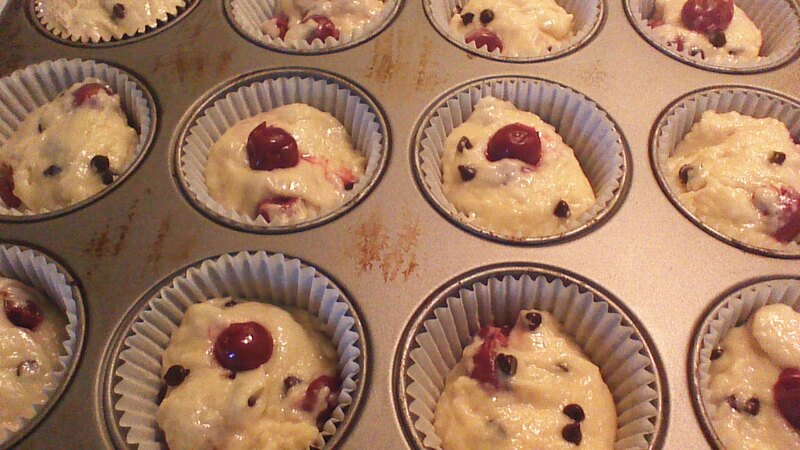 These Cherry Chocolate Chip Muffins are sure to be a hit! Step 1) Line a dozen standard size muffin cups with foil liners (preferable), or grease the muffin cups well. Do not use paper liners, as they will stick. Set aside. 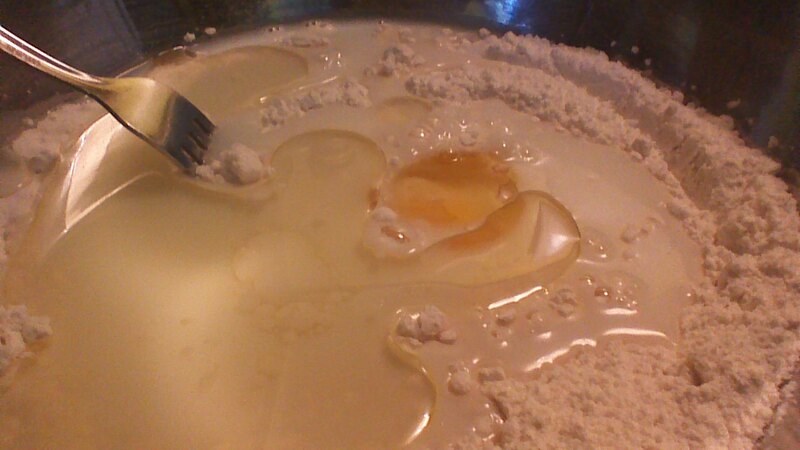 Step 3) Combine egg, milk, and oil in a separate bowl and mix well. 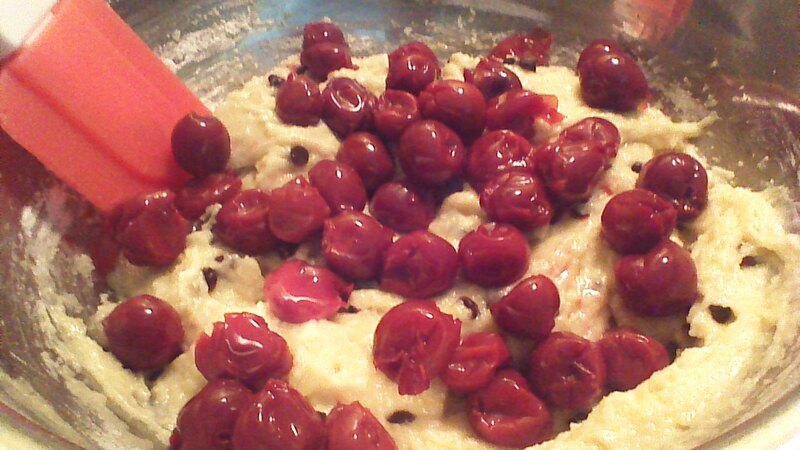 Step 5) Gently fold in cherries. Step 6) Fill muffin liners or muffin cups 2/3 full. Bake at 400 degrees for 18 – 20 minutes or until golden brown. Cool for a few minutes, and enjoy! 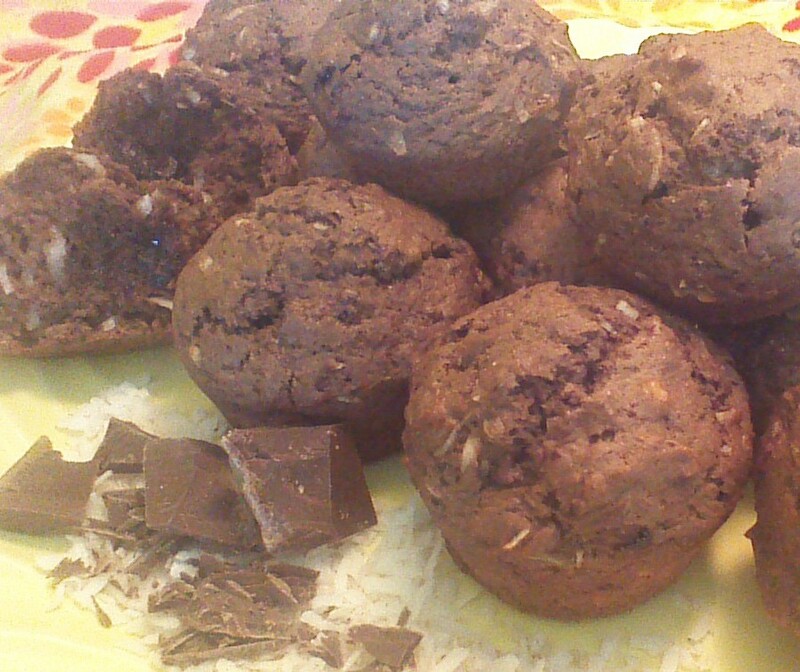 These muffins manage to taste like they fall into the “may as well eat a jumbo chocolate éclair” category when, in reality, they are nutritionally superior to most pastries. 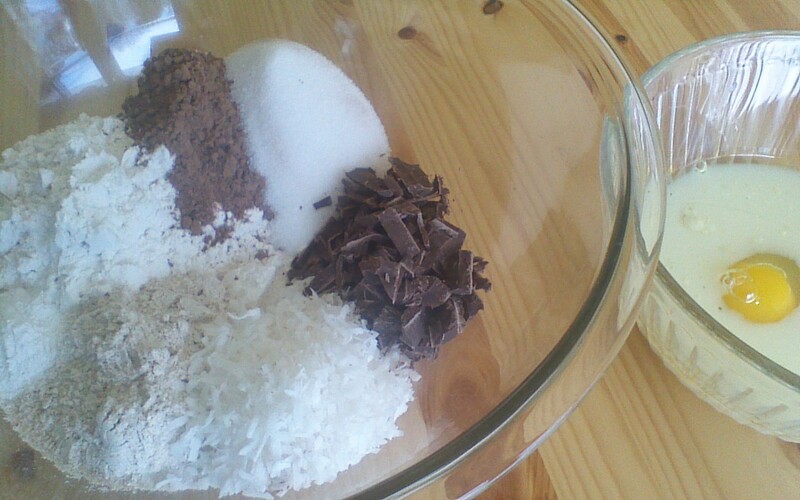 Cocoa powder and dark chocolate are high in antioxidants and plenty delicious without a lot of added sugar. These muffins freeze well, and make awesome lunchbox treats. Go ahead, indulge. Step 5) Fill muffin liners or muffin cups 2/3 full. Step 6) Bake at 400 degrees for 18 minutes or until golden brown. Cool for a few minutes, and enjoy!